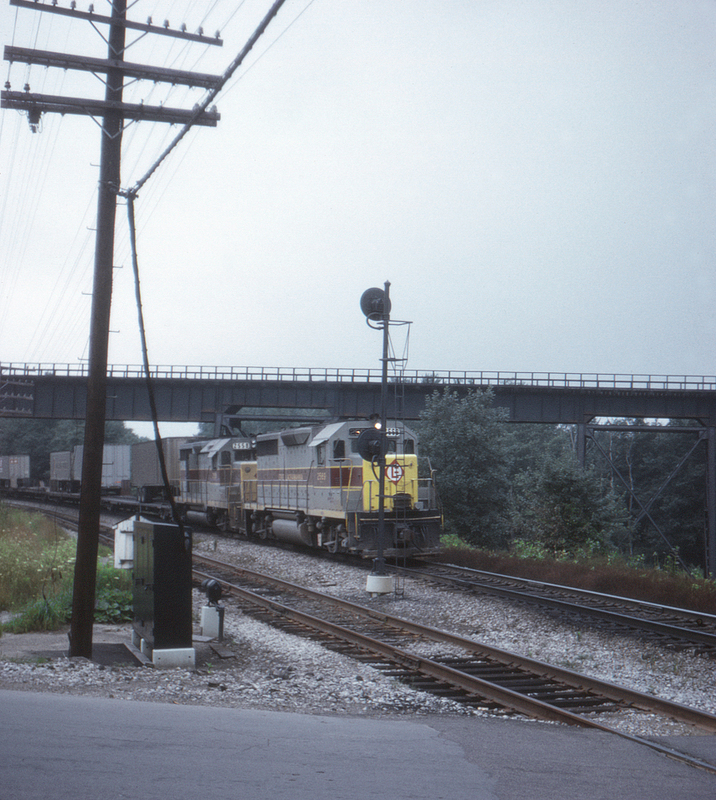 An eastbound Erie Lackawanna freight on former Erie rails passes under the Bessemer & Lake Erie's Kremis-Osgood Cutoff at Osgood, Pennsylvania. The searchlight signals at center are the interlocking signals for the crossing of the New York Central's Oil City Branch. Below the bridge, not visible in this photo, is the Shenango River and the B&LE's "old" main line via downtown Greenville, Pennsylvania. In 1964 an Erie Lackawanna freight derailed here, collapsing two spans of the B&LE trestle and putting it out of operation for nearly six weeks.